The Handful, una banda de Hard Rock de New Jersey (EEUU), estará de gira europea presentando su CD “Wooden Indian”. Y para conmemorar esta gira, nos han pedido que realicemos la imagen de la gira para su merchandising. ¡Aquí está! 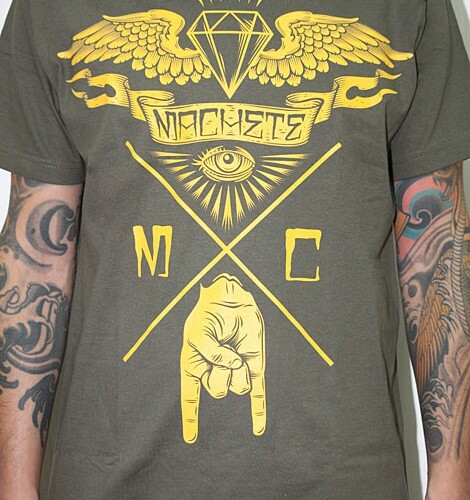 Esperamos que podáis haceros con una de las camisetas con este diseño. 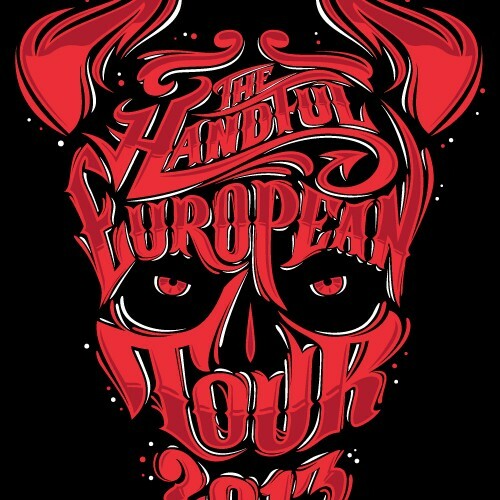 The Handful, Southern hard Rock band from New Jersey USA , on Tour in Europe supporting “Wooden Indian” CD. And to commemorate this tour, they have asked us to make the design for the merchandising. Here it is! 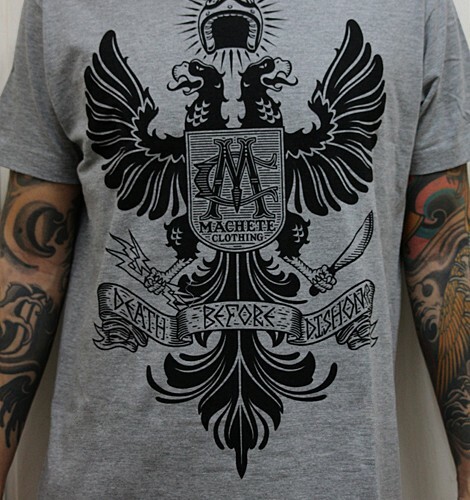 We hope that you can get one of these T-shirts with our design. Ya me ha llegado el libro The Zombook en el que he participado con una de mis ilustraciones. ¡Gracias Allan Graves por contar conmigo! 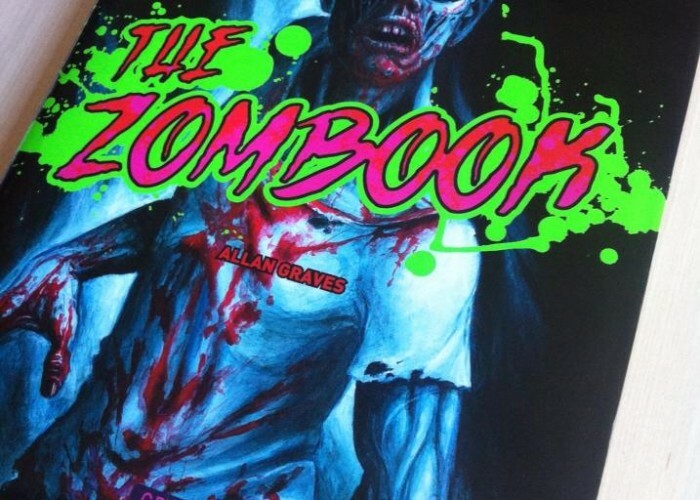 I have already gotten the book The Zombook in which I participated with my artwork. Ya llega el Cuarto Tenerife Touring Ride, y un año más he tenido el honor de realizar su cartel y merchandising del evento. Aquí os mostramos el cartel de este año. Now comes the Fourth Tenerife Touring Ride, and one more year we have the honor of making the poster and the merchandising. Here we show the poster of this year. Esta es la primera edición de MulaFest, un festival de cultura urbana en el que profesionales, aficionados y apasionados de la música, arte, danza, caos (skate y BMX), garaje y tattoo se juntan durante cuatro días, creando un entorno colaborativo sin precedentes. Y nosotros hemos tenido la suerte de crear la imagen de las diferentes áreas. This is the first edition of MulaFest, an urban culture festival where professionals, amateurs and fans of music, art, dance, chaos (skate and BMX), garage and tattoo come together for four days, creating a collaborative environment without precedents. And we have been lucky enough to create the images of the different areas. Hemos diseñado los trofeos para el Bike Show del MulaFest 2012 sobre unas tablas de skate del tipo longboard. Se han realizado 13 piezas para premiar diferentes estilos y elegir la mejor moto de todo el evento. We have designed the trophies for the MULAFEST Bike Show 2012 on a longboard. We made 13 pieces to reward differents styles and choose the best bike of show. Diseño de merchandising para Extra+ fabricante de bicicletas italianas. Merchandising design for Extra+, Italian bikes manufacturer. Diseño de merchandising para Officine Bcycle, bicicletas custom hechas a mano. Merchandising design for Officine Bcycle, handmade custom bikes. Diseño de merchandising para Kustom Bikes, bicicletas custom italianas. Merchandising design for Kustom Bikes, italian custom bikes.